President Emmerson Mnangagwa and his two Vice-Presidents earn an average monthly salary of $17 500 each. 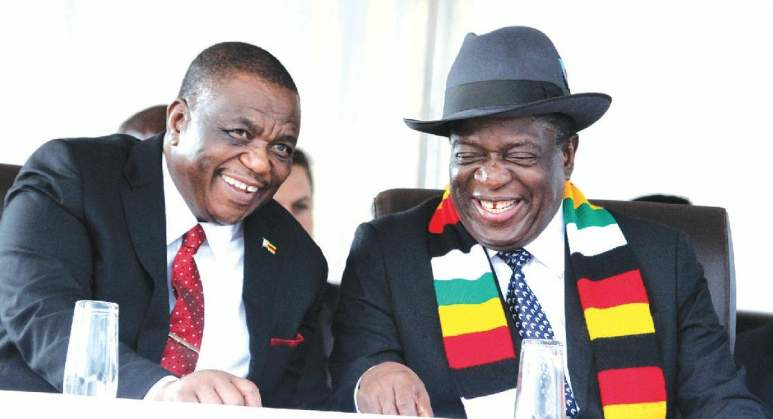 According to the Blue Book, the government document which details its expenditure and debts, a total of $630 000 is allocated in the coming year for salaries and allowances to Mnangagwa and his two deputies, Constantino Chiwenga and Kembo Mohadi respectively. There is no split on how much the President alone actually earns, but basing on that $17 500 average, his salary would place him among some of the best paid Presidents. The salary bill in the Office of the President (OPC) is going up from $8,77 million a year to $10,12 million, a result of new departments being added to the office. In total, the government wage bill is rising from $2,3 billion in 2018 to $2,9 billion, despite pledges by Finance minister Mthuli Ncube to contain the bill under his controversial austerity measures. Pensions ($594 million) and employment costs for grant-aided institutions such as universities ($591 million) will add an extra $1,2 billion to the wage bill. Foreign travel gobbled up $23,1 million between January and September, although it is projected at $15,7 million in 2019. Mnangagwa has been criticised over the past year for his frequent travels abroad, which his backers say were necessary for his re-engagement efforts in his first year as President. The travel bill, according to one Treasury official, also includes flights for former President Robert Mugabe and his family. Apart from Mnangagwa's office and State security, the OPC also includes departments such as the District Development Fund, State Residences, the Zimbabwe Investment Authority, the One-Stop Investment Service Centre and the Provincial Ministers of State. The OPC also covers commissions. There is also a $139 million allocation for the intelligence unit, classified as "special services" under the OPC budget. In his budget statement for 2019, Ncube announced a 5% cut on salaries for senior officials, from principal directors, ministers, parastatal bosses and up to the President. But critics say the cut was not enough, given that much of the spending is hidden in the expenses that officials feed on. Ncube himself has said that the 5% cut was only a "symbolic gesture" to show that government was serious about cost cutting. Mnangagwa's real salary is not disclosed, as is the case in many African states. Based on the average for the presidency, Mnangagwa would be one of the best paid Presidents, not only in Africa, but globally. Angela Merkel, chancellor of Europe's largest economy, earns the equivalent of just over $22 000. Mnangagwa earns more than Xi Jinping of China, leader of the world's second biggest economy, who makes just $1 850 monthly. Tanzanian President John Magufuli last year revealed his salary at $48 000 a year, a mere $4 000 monthly. In Kenya, Uhuru Kenyatta makes $16 000 a month. South African President Cyril Ramaphosa's salary is $22 000 a month. Mnangagwa's $17 500 is enough to pay the basic salaries of 45 junior doctors; the doctors earn a basic salary of $390, after the July pay increase, although their total earnings are around $1 200 with added allowances. Doctors have gone on strike for the second time this year, this time demanding payment in foreign currency, among other demands.